Mr. Rogers gets to work. I’m partial to that fight scene in the elevator. That was the first scene we shot in the second Captain America movie. 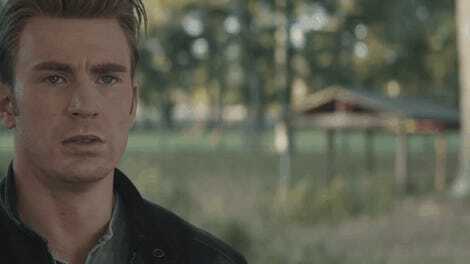 It was my first time working with the Russos, it was the first time where it felt like Cap was kind of on his own. In the first Cap movie you know, you really felt like everyone was holding my hand, and the first Avengers movie I just did my best to not get in the way. The second Cap movie is the one that I really kind of felt, I suppose, pressure, and that first elevator fight scene came out really great in my opinion. Before we get started... does anyone wanna read some more Cap Blogs?